The LTS-6 from ADJ is a low Cost black Tripod perfect for Hanging Par Cans. Great for use with a lighting fixture to create Quality lighting effects. The LTS-6 from ADJ extends up to 9ft and is easily collapsible for transport. With it's collapsed portable size its the ideal solution for DJ's, Mobile Entertainers or small venues that need easy setup and easy take down for their lighting. LTS-6 comes with T-bar with 8 hanging point bolts for easily installation. 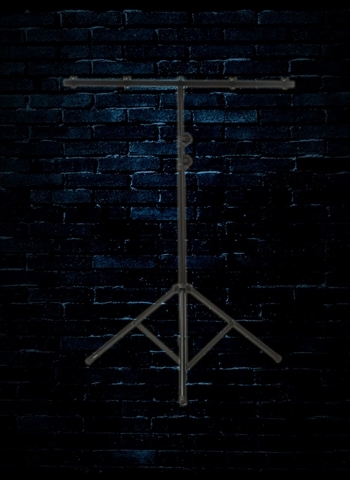 Includes FS-Adapter - designed to mount one light at a time at the top of the stand. At only 11lbs the LTS-6 is collapsible, durable, reliable and portable, a great product from ADJ.